June Lake is known as the "Switzerland of California"
June Lake is known as the “Switzerland of California,” but Switzerland’s got nothing on this gem of a town. The picturesque resort community off Highway 395 between Mammoth and Lee Vining boasts stunning views, trout-filled lakes, a ski area and a population of only 629, though it can swell by over 2,000 visitors during the summer months. 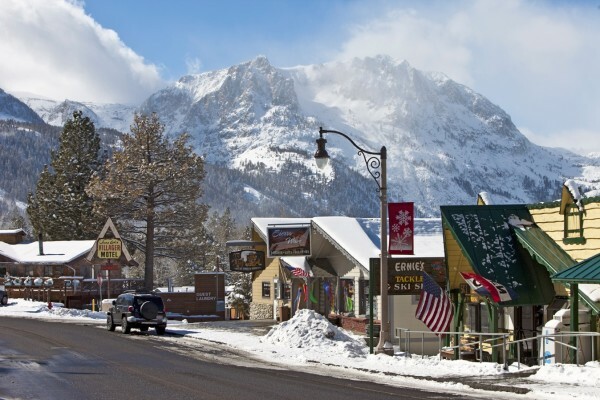 At an elevation of 7654 feet (2333 meters) It’s a locals’ favorite for skiing, as June Mountain is a welcome respite from the oft-overcrowded Mammoth Mountain (thanks mostly in part to the aging two-person chairlift required to reach the ski area). 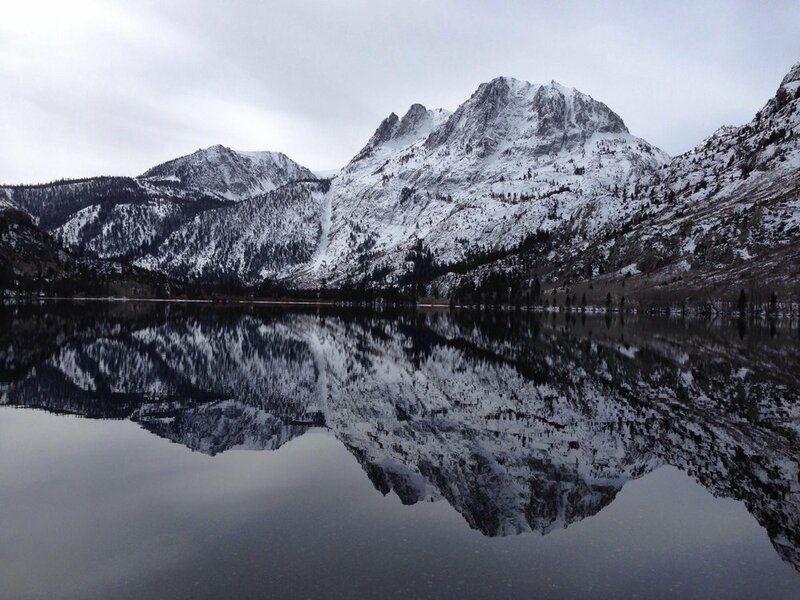 Bald eagles and osprey hunt the myriad lakes that dot the June Lake Loop, or State Route 158, a 15-mile drive of jaw-dropping beauty. Cruise the loop from South of Lee Vining into June Lake and you’ll pass the massive reservoir of Grant Lake, great for jet skiing and boating, and continue on to the achingly beautiful Silver Lake, a fisherman’s favorite. Absolutely do not miss the tiny Silver Lake Resort, but be prepared to write your name on a list and wait in line, as the ambience-heavy dining room is tiny. They serve breakfast until “about noon,” and lunch until 3 p.m.
A variety of lodging dots the length of Highway 158. The June Lake Motel and Heidelberg Inn are right in the center of town and offer multiple room options. Rooms in town are all walkable to June Lake Brewing (call it “JLB” if you want to sound like a local) and the instantly-recognizable orange Ohana’s 395 Hawaiian food truck on Crawford Avenue, off the main drag. Also walkable is the must-visit Tiger Bar (their Bloody Marys alone are worth the pilgrimage), as well as the shores of both June and Gull Lakes. The Big Rock Resort consists of eight charming cabins (a few are pet-friendly) complete with kitchens, and boats are available to rent directly on June Lake, but it books up quickly so call ahead. The June Lake Campground adjacent to the Big Rock is unbeatable, especially in the fall when the stands of quaking aspen that surround the campsites turn into cascades of gold. For a more RV-friendly camping spot, Oh Ridge sports lots of sites with hookups. One drawback to the Gull Lake Campground is that it’s right on Highway 158, so it can be noisy, but a bonus is that it’s on the shore of what’s locally known to be the warmest swimming lake on the Eastside (plus Gull Lake has a great rope swing that’s a delight to lounge next to on lazy summer days). If camping isn’t your thing, the Double Eagle Resort features the Creekside Spa, where sore muscles from hiking are soothed, and the Eagle’s Landing restaurant for breakfast, lunch and dinner. Unfortunately, the Resort is not walkable to the town of June Lake. You’ll also have to drive if you want to have dinner at the iconic Carson Peak Inn, a steak house throwback to a bygone era of red leather booths and salads overflowing with buttery croutons. The hiking is impeccable and accessible—many trails lead into the Ansel Adams Wilderness Area and backcountry points beyond. Since Highway 158 sits in a valley, many of the hikes (Fern and Yost Lakes, Reversed Peak) are quite steep. Visit Parker Lake for a short and less grueling jaunt with water most of the way for those who hike with their dogs. Visit junelakeloop.com. June Lake’s community website, for more detailed information. At the risk of giving up a super locals’ secret, June Mountain is simply the best place to ski on the Eastside.